Samsung has unveiled their latest 8K TV at CES in Las Vegas. The enormous 98″ Class Q900 QLED Smart 8K UHD TV joins the 85″, 82″, 75″ and 65″ in the Q900 series. TV manufacturers are now starting to push 8K displays even though the amount of 8K content that is available to watch is extremely limited. Unless you currently live in Japan, you are more than likely going to have to watch upscaled 1080 and 4K material if you buy an 8K TV. Given there is such a limited amount of 8K material that you can actually view, Samsung has fitted out all of their Q900 QLED TV’s with intelligent upscaling developed thru AI. The QLED 8K can convert today’s content into what Samsung claims is stunning 8K for improved details and sharpened definition. I’m not so sure 720p material upscaled to 8K is going to look particularly good! Along with a native 8K (7,680 x 4,320) display, Samsung’s HDR technology is claimed to deliver maximum brightness to the scenes’ settings and conditions in the room you’re watching in. When coupled with the intense blacks made possible through full array local dimming, Quantum HDR scenes appear more dynamic. 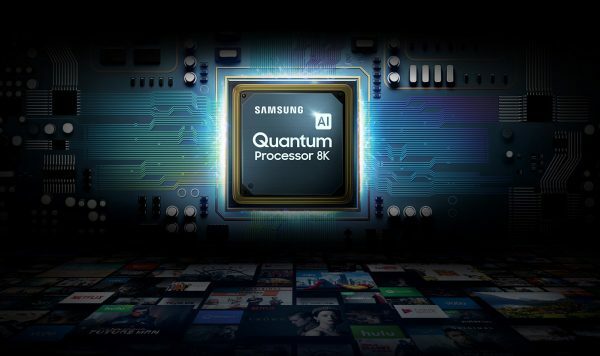 With a Quantum Processor 8K the TV can optimize sound for each scene, adjusts brightness to the room’s environment and customizes content recommendations. 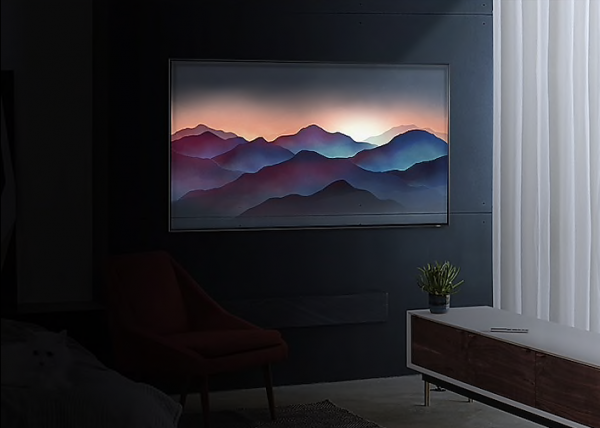 Having a gigantic 98″ TV in your living room is hardly discreet, so Samsung has developed an Ambient Mode where the QLED 8K can mimic the wall pattern behind it to help blend in; plus overlay decorative art, personal photos or helpful information. I couldn’t find any information on pricing or availability, but to give you some sort of idea, the 85″ version which is scheduled to start shipping in the first week of February will retail for $14,999.99 USD. Given the 75″ version is $6,999.99, that extra 13″ over the 85″ could set you back a pretty penny. 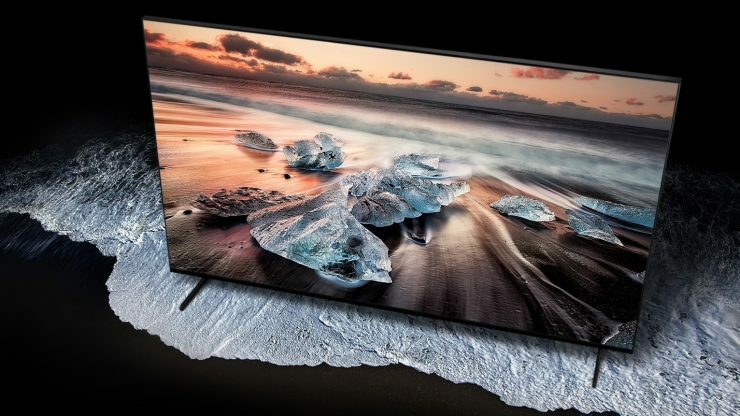 Would you buy an 8K TV? Is it way too early to be thinking about 8K? Let us know in the comments section below.